Hormones are produced throughout many different organs in your body and make up your endocrine system. This helps regulate the creation and release of hormones, including testosterone, estrogen, progesterone, thyroid hormone, and others. When this system isn’t working optimally, a hormone imbalance occurs. This used to be considered a part of normal aging. Now we understand these symptoms experienced by so many men and women across Florida are often caused by the age-related drop of critical hormone levels, including testosterone, estrogen, progesterone, and others. The decline in hormone levels is different for every person, but it does eventually affect everyone. If you’re going through a hormone imbalance, there are many ways to relieve your symptoms and feel better. It’s helpful to get exercise and eat healthy, but many people benefit from hormone replacement therapy. Genemedics is one of Florida’s leaders in hormone replacement therapy. We specialize in the use of bioidentical hormones to naturally replace and restore your hormones to peak levels, making you healthier and happier. Bioidentical hormone replacement therapy (BHRT) is an alternative medicine where bioidentical hormones are natural analogs of your internally produced hormones. Doctors have been using synthetic hormones in medical practice, but the use of bioidentical hormones has changed hormone replacement therapy in fundamental ways. Unlike the synthetic hormones used in the past, bioidentical hormones are considered natural because they are exact copies of the molecules your body naturally produces. Before bioidentical hormones, physicians used synthetic hormones in hormone replacement therapy, which didn’t always have the best results. Unlike their biomedical counterparts, synthetic hormones are derived from animal sources and are not exact matches of the hormones a human produces. Instead, they are close matches—which means they are biologically active but can cause huge problems with your body. Synthetic hormones are used to reduce menopausal symptoms as well as the risk of heart attack and stroke in older women. Typical synthetic estrogen therapy included strong estrogens from the urine of pregnant horses. However, in 2004, the Women’s Health Initiative released one of the largest studies ever conducted on synthetic hormone replacement therapy. According to the WHI, this type of synthetic hormone replacement therapy actually increased the risk of stroke and breast cancer instead of protecting them from these life-threatening risks. After the study was released, millions of women immediately stopped taking synthetic hormones and the number of prescriptions plummeted. Since then, we’ve learned a tremendous amount about natural hormone replacement and can once offer safe and effective hormone replacement therapy without risk. That’s where Genemedics and bioidentical hormones come in. Bioidentical hormones are made by extracting the base molecules from raw ingredients, like soybeans or wild yams, and then used to create the human hormone analog. Bioidentical hormones come in a wide variety of options, like pills, patches, gels, creams, pellets, and by injection. Although both types of hormones are biologically active, bioidentical hormones have powerful benefits over their synthetic counterparts. They are safer, more effective, and interact with your body in a more natural way. Synthetic hormones include foreign compounds that your body won’t recognize while bioidentical hormones match your body’s natural molecules. Internally, synthetic hormones don’t act like bioidentical hormones. They bind to molecules differently than bioidentical hormones and sometimes don’t break down properly. This results in an increased risk of blood clots, heart disease, cancer, and stroke. These side effects wouldn’t happen with a properly administered bioidentical hormone replacement program because the natural molecules interact with your body the same as your naturally produced hormones. They bind to cell receptors exactly the same way and are always broken down completely. The means far less side effects and fewer symptoms from a hormone imbalance. BHRT is more than just prescribing hormones to alleviate symptoms. A properly designed BHRT program like the one Genemedics offers will begin with a thorough evaluation of your hormone status. This usually includes a test of blood and saliva as well as an assessment of your symptoms performed by a qualified physician. Once your results are in, a personalized BHRT program is specifically tailored to your needs using multiple hormones. 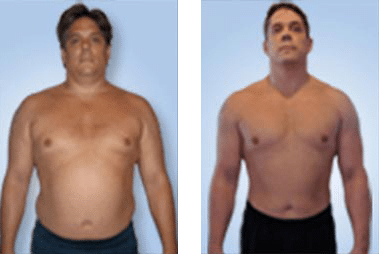 The ultimate goal is to restore your overall hormone profile to the levels when you were at your physiological peak, usually in your 20s or 30s. There is no such thing as a one-size-fits-all BHRT program. For ultimate effectiveness, your BHRT program has to fit your unique biology, stage of life, and hormone status. The risk of side effects using BHRT is far lower than their synthetic hormones counterpart. However, because BHRT must be personalized and carefully managed, there is always the risk that a poorly designed program will result in side effects. Genemedics doctors are among the nation’s leading experts in BHRT. All of our physicians have been through thousands of hours of training and have years of experience. They have worked with thousands of patients to design customized BHRT programs for each of them that don’t have side effects because they were made for their genetic makeup. All you need to do it set up an initial consultation to get your comprehensive evaluation today!